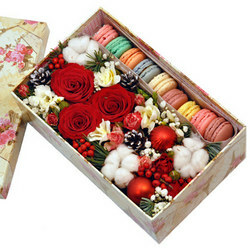 Elegant Christmas gift for a loved one congratulations. 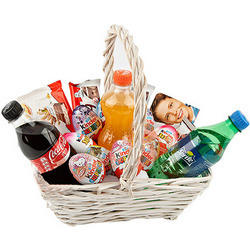 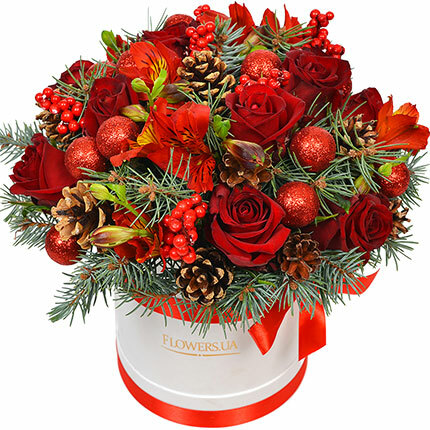 Give unforgettable emotions at this new year! 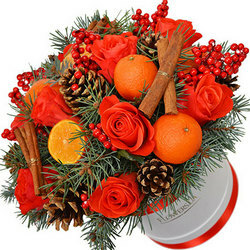 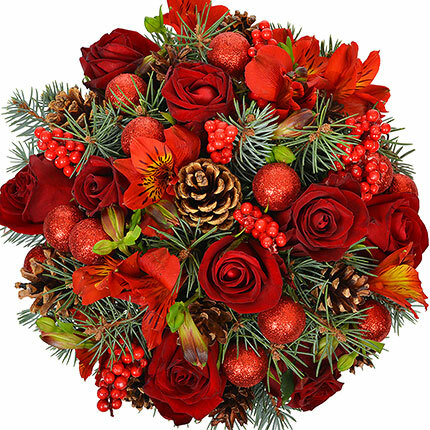 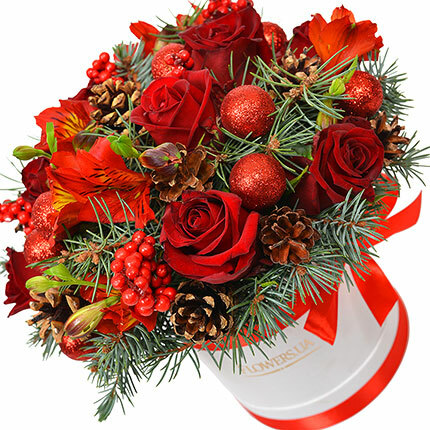 Composition: 9 red roses, alstromerias, decorative cones, сhristmas toys, hypericum, fir branches, decorative box, floral material. 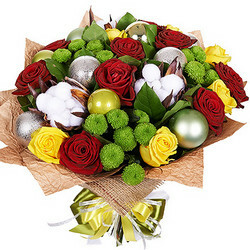 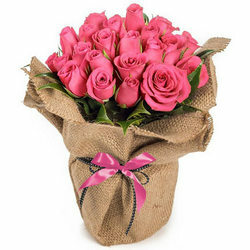 20032019 © Flowers.ua Сomposition in box "Precious Gift"